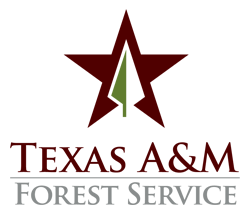 Wildfires can occur anywhere at any time, and peak season for wildfires in Central Texas is April through October. Being prepared for wildfires is important as they can destroy homes, businesses, infrastructure, natural resources and agriculture and even cause the loss of lives. Homeowners can help prevent the spread of fires with proactive approaches to wildfire prevention. They also should prepare themselves for responding to a wildfire in case evacuations become necessary. Create defensible space with fire-wise landscaping – Create a separation between the fuel a fire needs to continue burning. Fuels include trees surrounding property, plants used in landscaping and even the home itself. Harden the home – Reduce a home’s risk to wildfire by using non-combustible building materials, keep the area around the home free of debris and take steps to prevent embers from entering the home. Improving access for emergency responders – A quick response to a wildfire is critical. Highly visible signs can help direct emergency responders to properties. Having wide access lanes with proper clearance that can support large and heavy fire trucks is essential. Don’t throw cigarettes out car windows. Avoid burning trash, leaves and brush on dry, windy days and check to see if weather changes are expected. Postpone outdoor burning if shifts in wind direction, high winds or wind gusts are in the forecast. Check for local bans on outdoor burning and keep informed of wildfire danger levels. Before burning, establish wide control lines down to bare mineral soil at least five feet wide around any burn barrels and even wider around brush piles and other piled debris to be burned. Register at WarnCentralTexas.org to get emergency warnings about your neighborhoods. Warnings are sent by local emergency response person and you can receive them by text, email or a phone call. 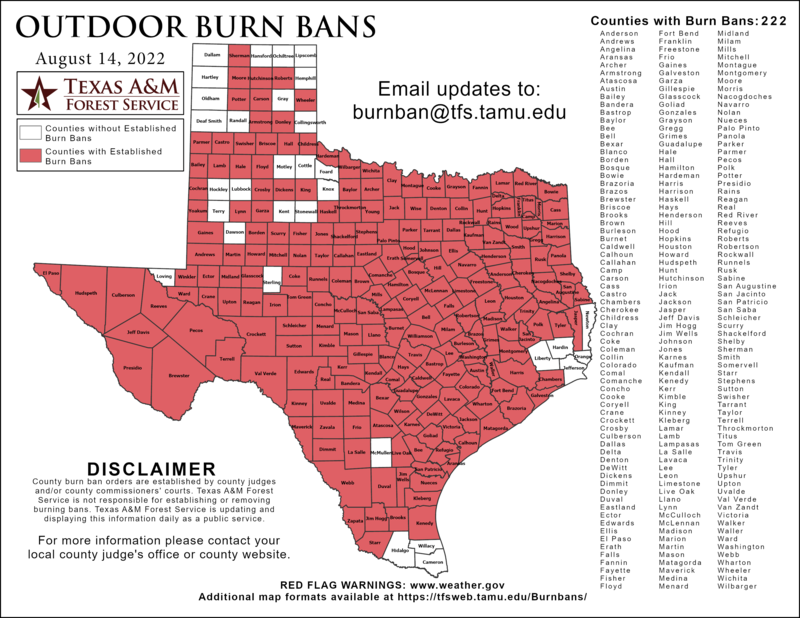 Know your local bans on outdoor burning and keep informed of wildfire danger levels. Develop emergency plans, create emergency kits and supplies or Go Kit, and make your home less susceptible to ignition from wildfires. If a fire is located near your home or fire conditions exist, make the necessary preparations to your home, and prepare to evacuate. Act early and don’t hesitate to evacuate prior to being notified if you feel threatened. Have a “Go Kit” prepared so your essentials are ready to go with you. Besides your local fire departments, a good regional resource to learn more about wildfires is the Joint Wildfire Task Force, which works to increase the region’s wildfire preparedness and encourage the development of Fire-Adapted Communities. ATX Floods provides an interactive map of low-water crossing in the majority of the CAPCOG 10-county region. National Oceanic and Atmospheric Administration’s Weather–Ready Nation is about readying your community for extreme weather, water, and climate events.